The SwissGear Elite Series aluminum hiker tent is designed with your active lifestyle in mind. The lightweight aluminum frame is designed with a unique hub system which allows the frame system to snap into place in seconds. 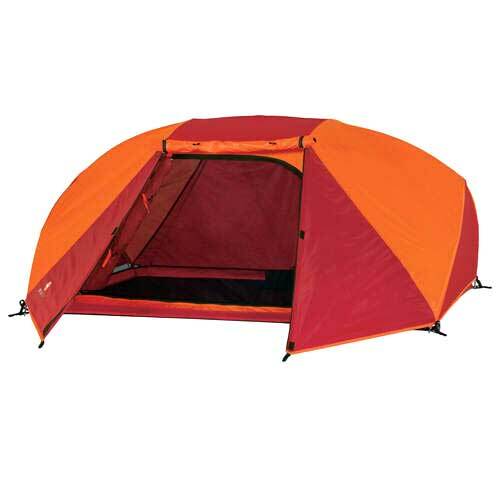 Then just snap your tent onto the frame and you're set up and ready to go. The SwissGuard weather protection system includes enhanced rain fly coating, full rain fly coverage, front vestibule to keep your gear dry and mesh walls to enhance airflow and keep you cool in the warm summer months. Dimensions: 6'11" x 4'7" x 43"